But seriously! It’s summertime people! Time for running through sprinklers, catching fireflies, eating strawberries, drive-in movies, and so many other fun things. 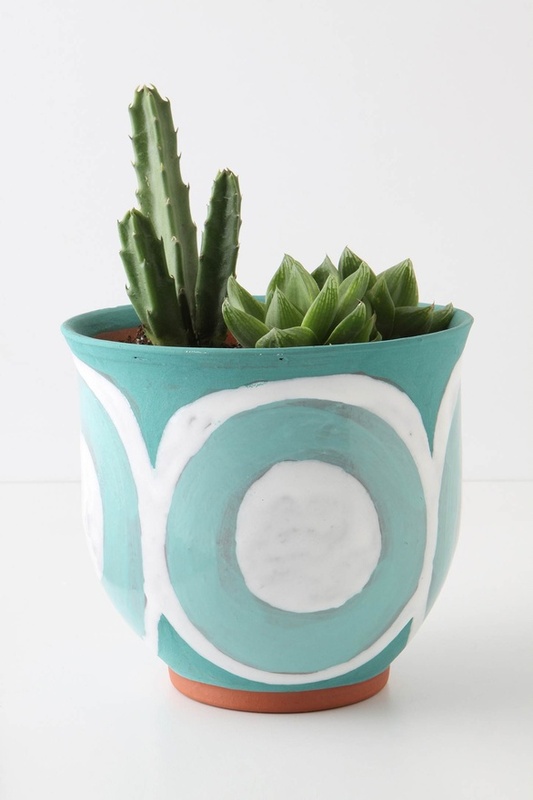 To celebrate, I thought it’d be fun to look at 5 fun DIYs that are totally summer appropriate! You can find a clay pot, paint, brushes, and seeds at WalMart. All for under $5! This is such an easy way to add a little life to the windowsill in your kitchen or living room. You can paint them any way you want to match your home and then plant away. It’d be a great activity to involve your kiddos in, too! This dress takes a simple ribbed tank top, three yards of fabric, two straight lines of stitching, and turns them into a fun summer dress! 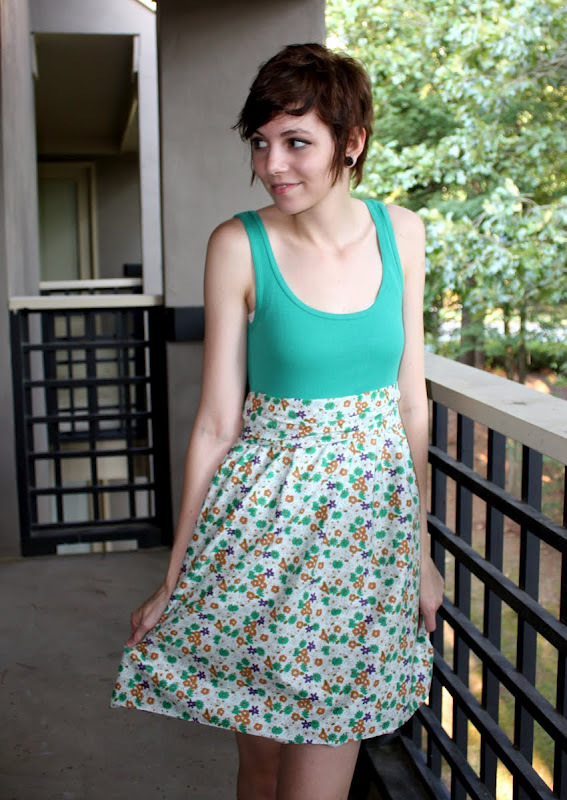 This dress is perfect for those just starting out on sewing machines! It’s super easy and doesn’t take much time. Check out the tutorial here. Nothing says summer time quite like fudgsicles. 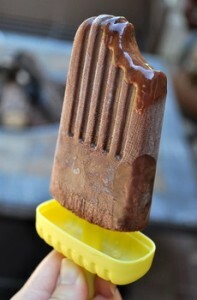 This recipe promises all their chocolate-y goodness with the added benefit of them being “simple, flavorful, and low in fat and calories.” Sounds like a winner to me! You can find the recipe here. Can you believe these sandals are just the cheap 2 for $5 flip flops from Old Navy? 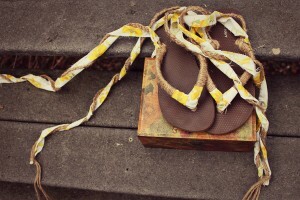 With just a little twine, fabric, and creativity they turn into something completely new and a lot more unique! You can make this with supplies you’ve already got at home by using ribbon, old sheets, or t-shirts. Kelly Hicks shows you how to do it here. Sidewalk chalk is a great summer staple. Kids will play with it for hours and the stuff you can do with it is only limited by your imagination. This blog has a great tutorial for making it at home. The bigger size is great for smaller hands to grasp and the colors are totally customizable! The tutorial can be found here. There you have it–five fun things to do this summer! Make sure to let us know when you do them and how they turn out! 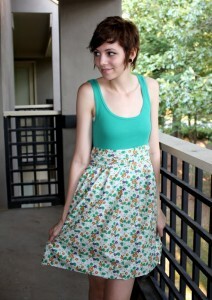 I am totally making that summer sundress! SO cute and easy! !